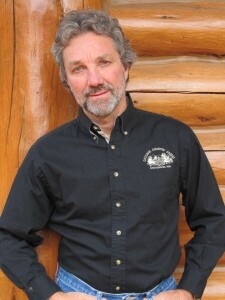 Ben Sciacca, owner and operator of Cascade Country Cabins, is a “hands on” log home builder who makes it a point to be part of the building process every step of the way. At Cascade Country Cabins we put our hearts as well as our backs into every tiny home, custom log home or log home kit we do. Ben Sciacca, Owner Cascade Country Cabins, Inc.
We choose standing dead lodgepole pine logs because of their low moisture content and their natural beauty. We take the time to look for the beauty in each and every log we place so the finished product is truly a one of a kind work of art. Our post and beam style eliminates costly labor at the corners allowing you to spend your money on more important areas of your home. All of our log kits are assembled in the Columbia Gorge in a 20,000 square foot enclosed building to ensure better quality during the building process. 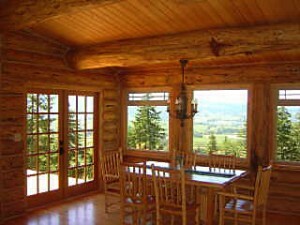 Many of our Washington and Oregon clients have chosen Cascade Country Cabins after much research on their part, due to the quality of the custom log products and our reasonable prices. 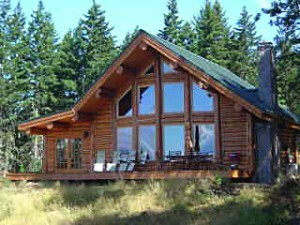 Our website has a limited number of tiny home plans, log home floor plans and are just a few ideas to choose from. Changes are always encouraged and accommodated for. If you would like to join the growing number of people who have decided to move up to the beauty and warmth of a log home OR interested in a tiny home, we hope you will consider working with us.